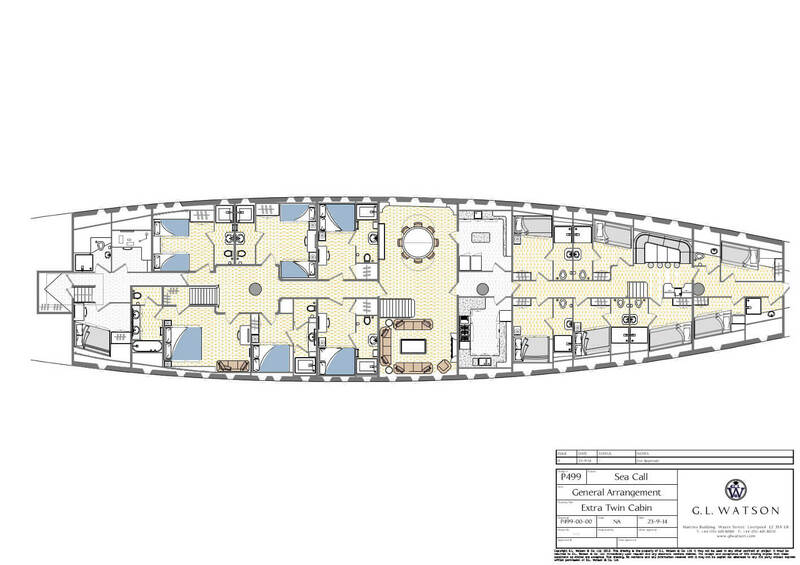 There can be few sailing yachts more worthy of rebuilding than Sea Call. 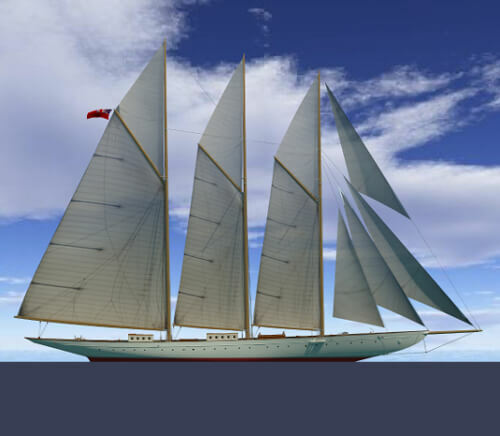 Despite the triumph of the schooner Atlantic’s record setting passage across the Atlantic, it would be over 10 years before her designer would receive a commission to design a yacht to rival her. 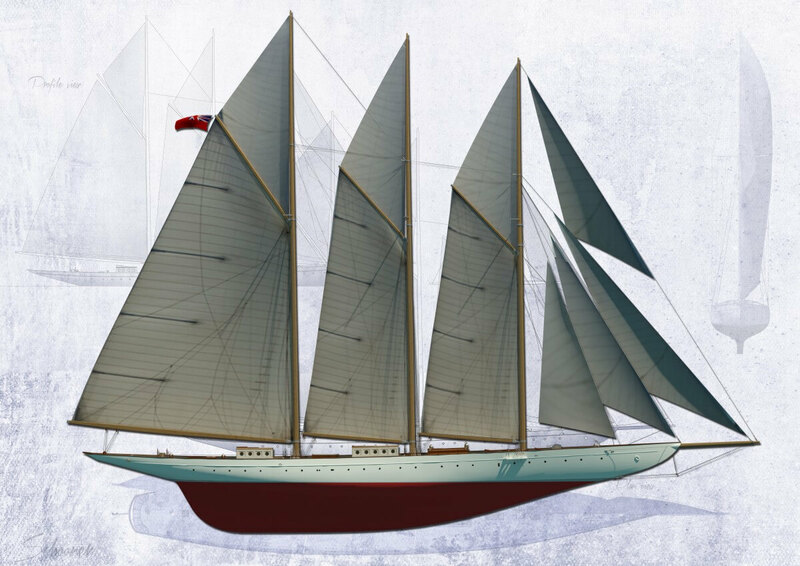 But when he did, William Gardner created one of yachting’s greatest schooners and one of yachting’s greatest lost opportunities. Having tank tested Sea Call against the smaller Atlantic and the stretched version of her, Gardner was satisfied that he had created a faster vessel. 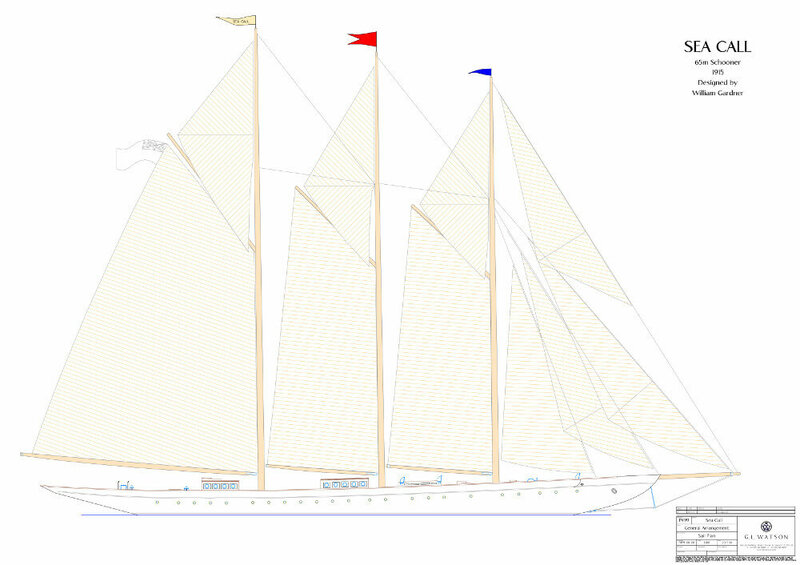 In her construction he specified a combination of vanadium steel and monel metal. This experimentation resulted in violent electrolysis and within three weeks of her first trial the decision was taken to scrap her. 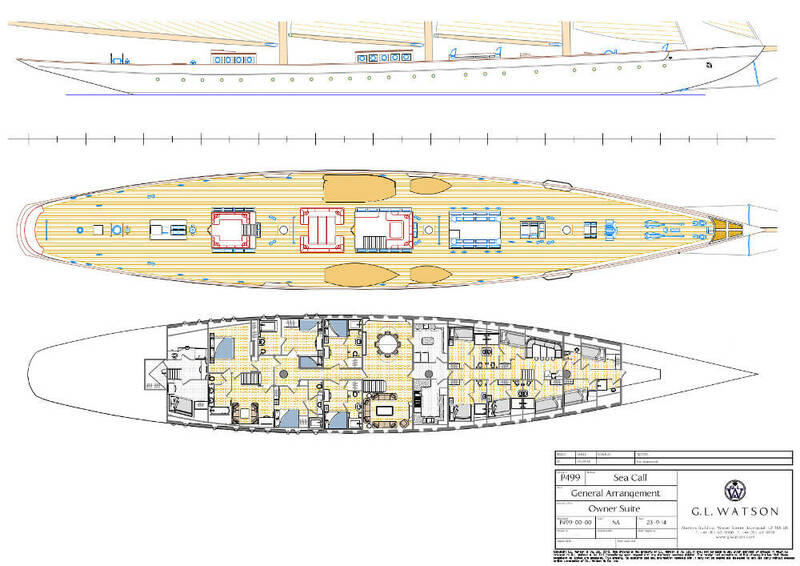 Compounding the tragedy, Sea Call’s drawings were long thought to have been lost. Painstaking research has now proven this to be incorrect and we have located sufficient archival data to rebuild her. 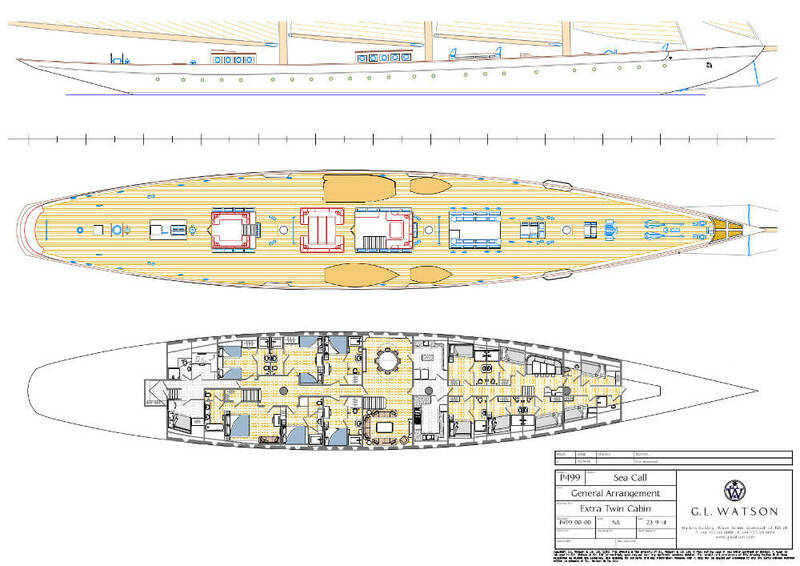 The designs here show the original hull, deck and sail plans with two alternative interiors. 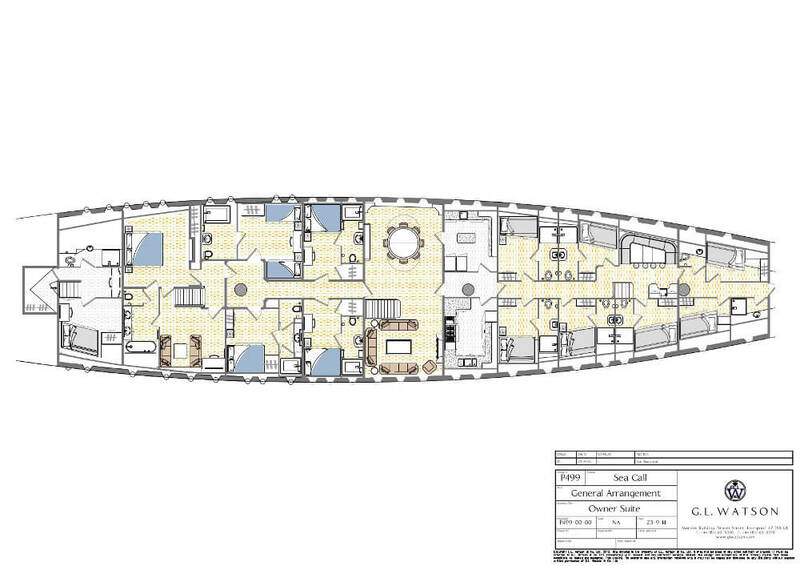 These layouts provide generous accommodation for 10 to 12 guests including one version with a private owner’s deckhouse. 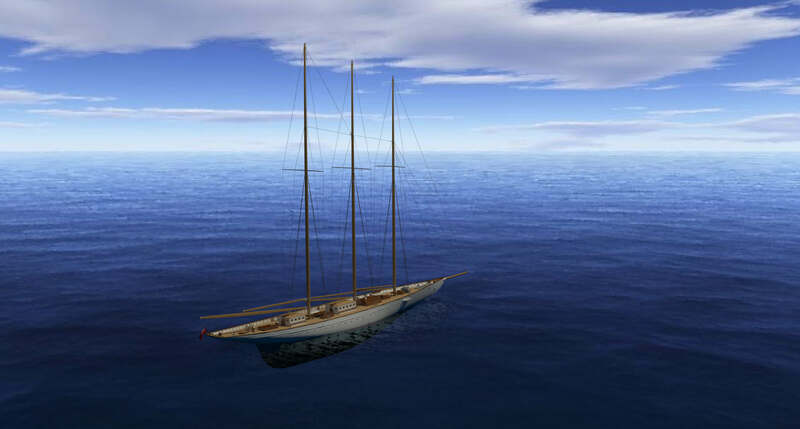 There can be few sailing yachts more worthy of rebuilding than Sea Call .